Ghosn's reappointment put to rest weeks of speculation about Renault's future leadership. PARIS -- Carlos Ghosn pledged to cement Renault's partnership with Nissan Motor and Mitsubishi Motors after agreeing to stay on as chairman and CEO of the French automaker for the next four years. The companies will come up with a plan in the next few weeks to "make the alliance irreversible," Ghosn told analysts on Friday at the company's headquarters near Paris. But Ghosn made clear that Renault and Nissan are in no rush to merge - especially on French government terms - and reiterated his view that a full tie-up was impossible while France retained a significant Renault stake. "I don't see how the Japanese side is going to accept further steps with the French state as a major shareholder," he told analysts. Ghosn said any change in the financial structure of the alliance would have to be approved by both the French and Japanese governments. He said Japan would not agree to a tighter structure if France remains a shareholder. Ghosn's reappointment, announced Thursday, put to rest weeks of speculation about Renault's leadership and ensures the longtime CEO will continue to steer the company through a potentially jarring technology transition. France, a top shareholder with a 15 percent stake, had demanded a pay cut, succession planning and deeper ties with Nissan that can outlast Ghosn's tenure. Renault named a second-in-command to Ghosn, who will free the busy executive to focus on strengthening the alliance. Thierry Bollore, the company's chief competitive officer, was named chief operating officer, putting him in line to succeed his 63-year-old boss. France supported a renewed mandate for Ghosn, while backing the nomination of Bollore, 54, a French citizen who started his career with the tiremaker Michelin. Ghosn's new mandate reflects the priorities of France. Ghosn will continue to focus on the automaker's strategic plan, called Drive the Future, aimed at guiding the company through industry shifts as more stringent pollution standards, electric vehicles and self-driving technology take hold. Ghosn agreed to cut his salary by about 30 percent, Renault confirmed, securing government support. Shareholders led by the French state voted against his compensation in 2016 but narrowly approved it last year. The package to be submitted to the annual meeting on June 15 includes 2.46 million euros in fixed and variable pay, plus up to 80,000 long-term performance shares currently worth another 8.6 million euros. "We want to build new era of relations between Renault and state," French Finance Minister Bruno Le Maire said on C-news TV. Ghosn saved Nissan from near-collapse almost two decades ago and spearheaded the globalization drive that now unites automakers from across continents. He remains chairman at all three companies, after giving up the CEO job at Nissan. He's been CEO at Renault since 2005, and oversees the three-way alliance as well. The new structure could give the French government political cover to reduce its stake, ultimately making a full merger of Renault and Nissan "a very real possibility," Evercore ISI analyst Arndt Ellinghorst said in a note this week. Ghosn said a year ago there would be no merger between Renault and Nissan as long as the French government is a shareholder. France raised its stake in 2015. The state has no plan to sell Renault shares, a government official said this week. Renault owns 43.4 percent of Nissan, which in turn controls Mitsubishi Motors via a 34 percent stake. 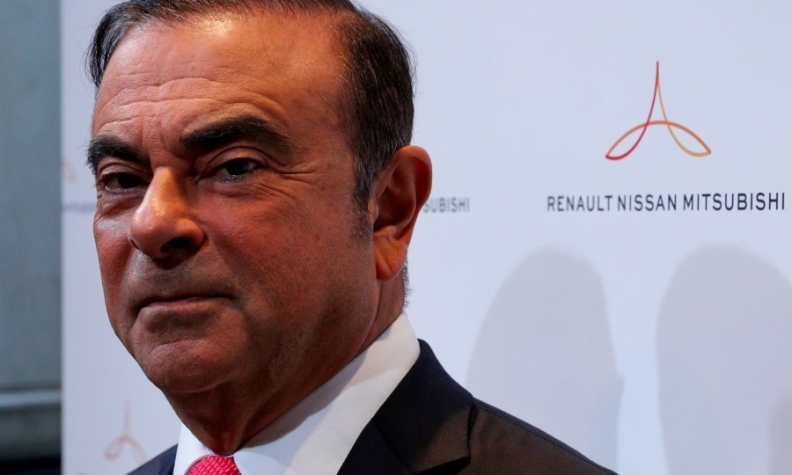 Ghosn had been expected to hand over the reins to a new CEO and move to a non-executive chairman role overseeing the Renault-Nissan-Mitsubishi alliance. But the plan foundered on differences with the French state over the alliance's future shape and direction, sources have said. Renault reported record annual revenue and profit on Friday with operating profit up 16 percent last year to 3.8 billion euros ($4.8 billion). Revenue jumped 15 percent to 58.8 billion euros as demand for cars continue to expand in Europe. Renault's AvtoVAZ, which sells Lada cars, is also benefiting from an improvement in Russia.